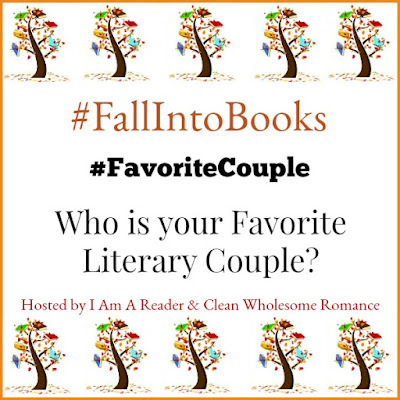 I'm going to go with the classic literary couple, Elizabeth Bennett and Mr. Darcy. 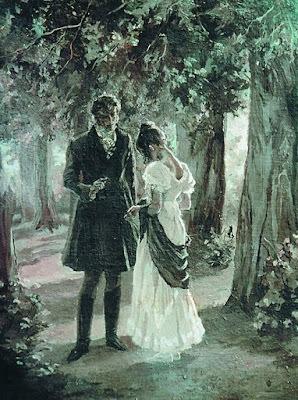 The first time I read the book, I had not yet seen any movie versions, so I pictured him as very tall, and her as much younger than him. 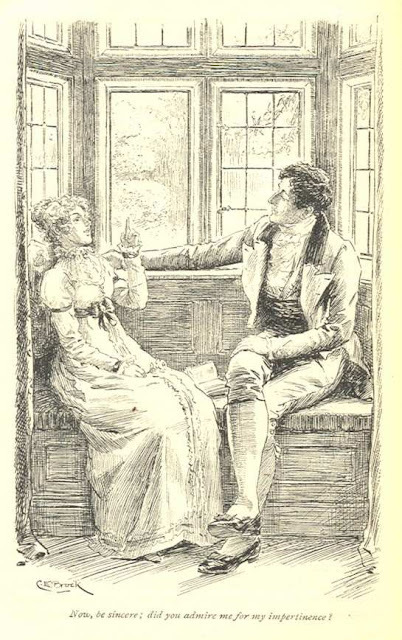 As much as I enjoy both the miniseries and 2005 movie, I prefer vintage illustrations and depictions of the couple since they match my own vision. 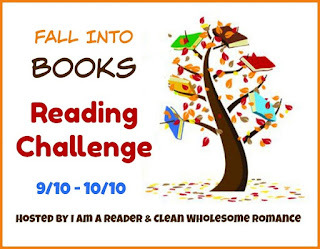 I also love reading retellings and stories inspired by the book, they can be so much fun! 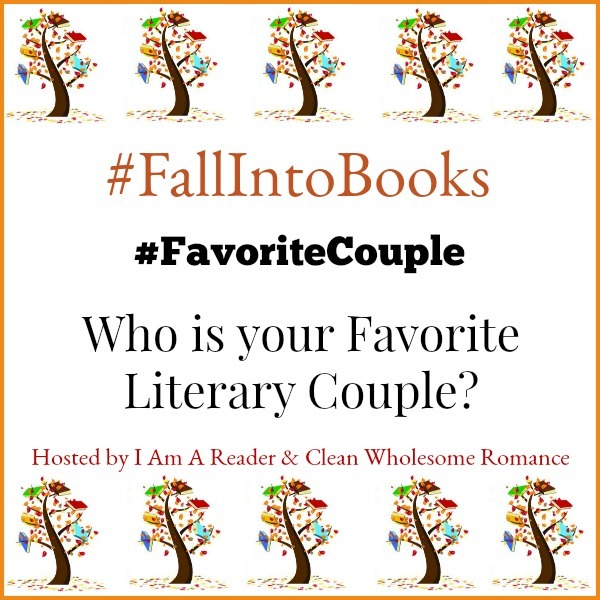 Check out my Pride and Prejudice Pinterest Board for more Darcy and Lizzie fun!